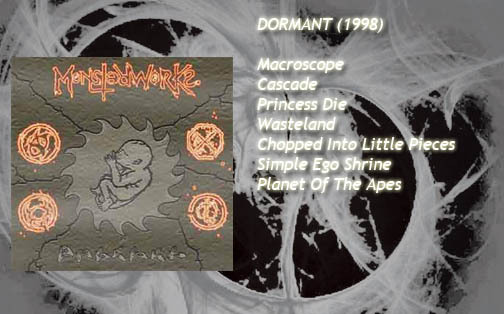 After playing the first few gigs as a three-piece consisting of Jared on drums, Ian on Lead Guitar and Jon on Guitar/Vocals, Ian’s brother Chris joined the band on bass in time to record “Dormant” at The Stomach, Palmerston North in July 1998. The band played more or less live together for the whole album, except for vocal overdubs and some additional leads. Nigel Gapper engineered and mixed the original recordings, however, Ian and Jon revisited the old sessions in November 2010 with Lewis Childs at Earth Terminal for a longed-for re-mix and master. In the spirit of the original sessions this was completed in one day and involved the nervewracking process of recording from two 8-track ADAT tapes (which had grown some mould in the intervening 12 years) and hoping they didn’t disintegrate.